The 16 and over female grade were back into it this week after their win over the Port Adelaide Women’s academy the week prior. 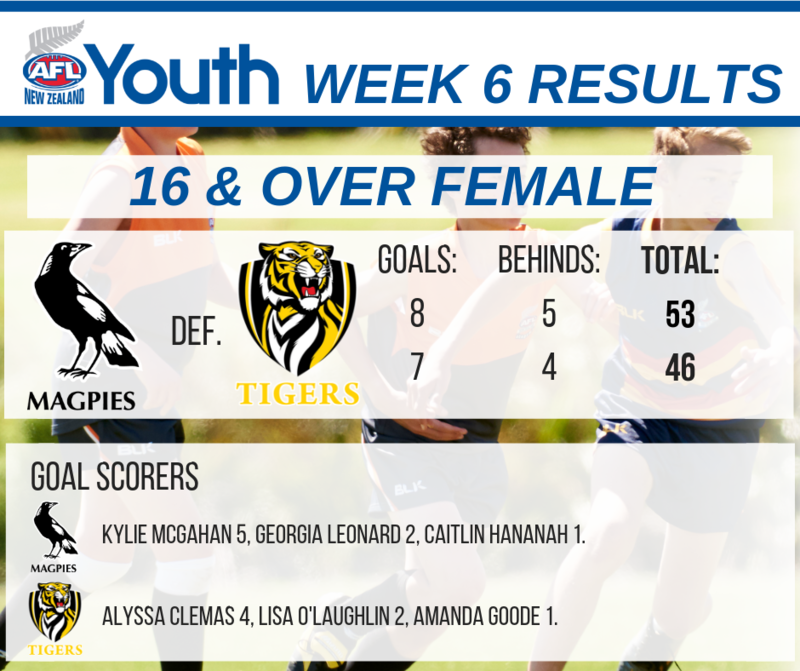 Kylie McGahan continued her hot form kicking five goals to set up a Magpies victory. 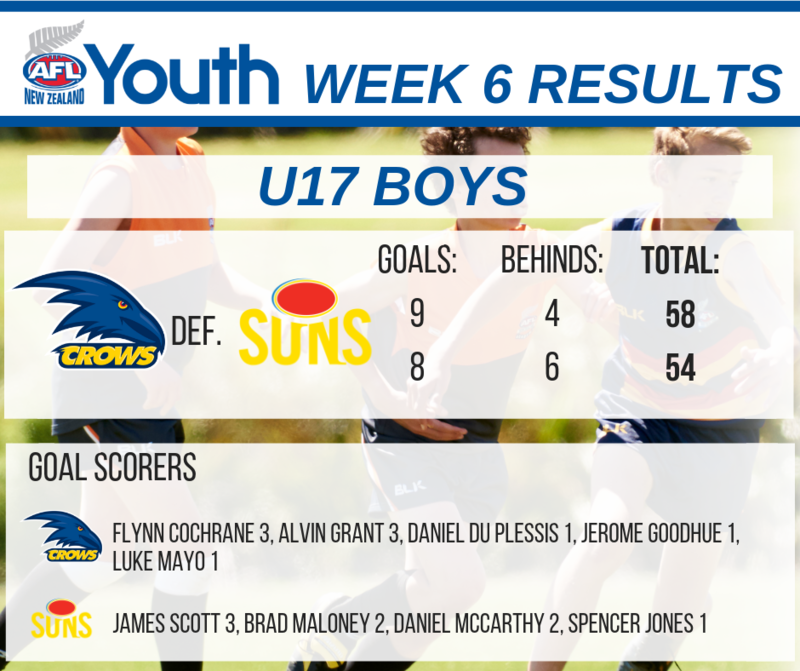 The Crows held on to beat the Suns by four points in the U17 grade as Flynn Cochrane picked up the player of the day after booting three goals. 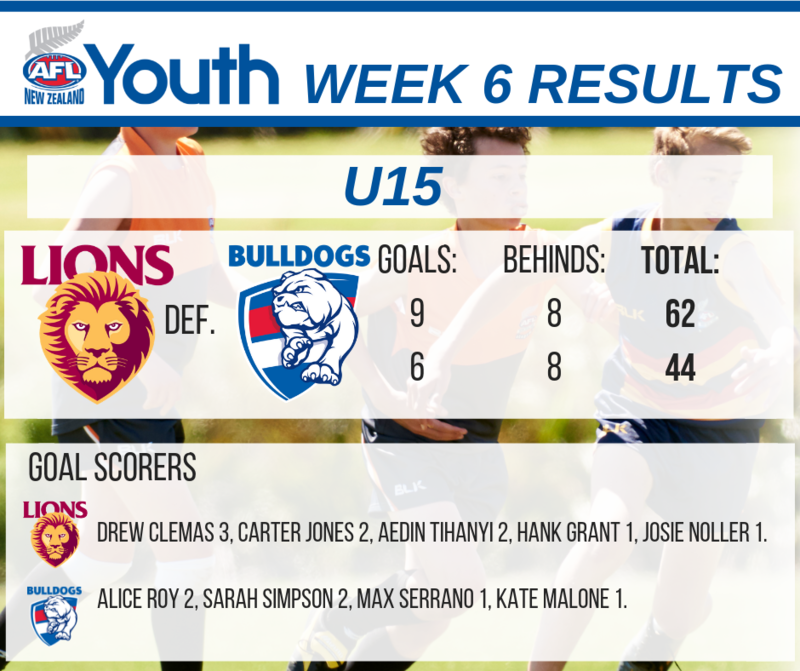 It was another tight game in the U15 grade as the Lions beat the Bulldogs by three goals. Danielle Hannah and Kate Malone took home the player of the day awards for each after impressing the coaches with their smooth skills. 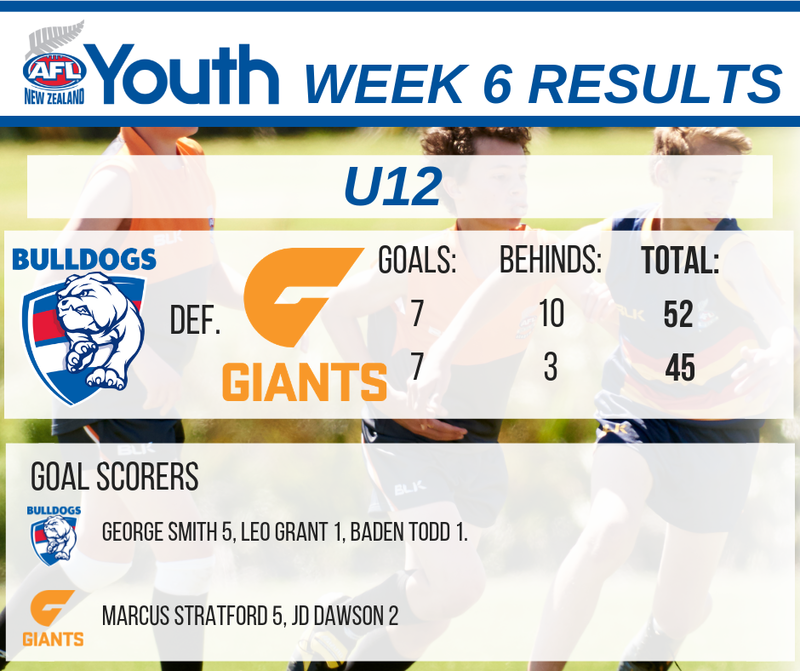 The U12 grade saw the Bulldogs score a seven point win over the Giants. George Smith and Marcus Stratford were putting on a show in front of goal, kicking five goals each for their respective teams. 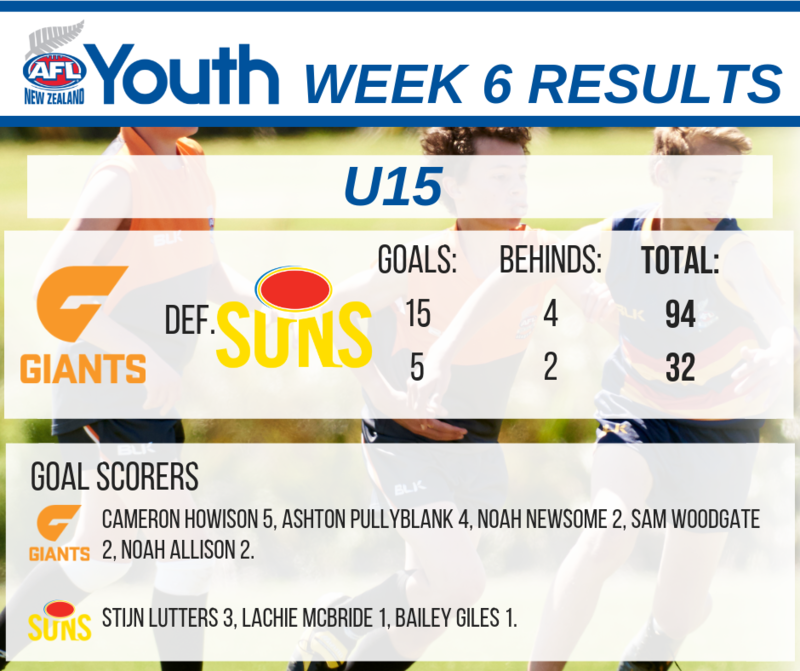 In Canterbury, the U15 grade saw the Giants score a ten goal win over the Suns as Cameron Howison (brother of New Zealand Captain, Andrew) and Ashton Pullyblank combined to kick nine goals for the game. 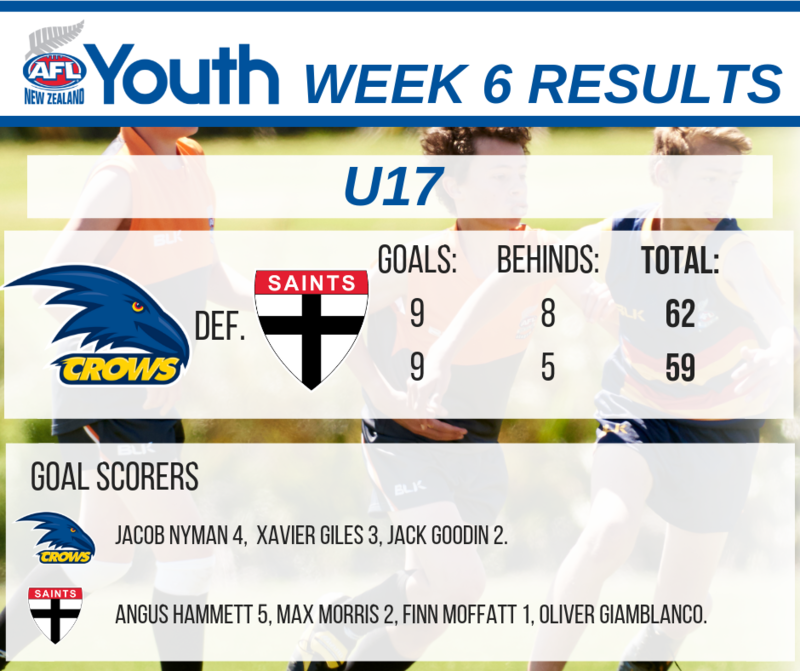 It was a lot closer in the U17 grade with the Crows claiming a three point victory over the Saints. Layton Cahill was awarded the player of the day for the Crows while Jamie Moore collected it for the Saints.